Evergreen Coho SKP RV Park, at 2481 Anderson Lake Road, Chimacum, WA 98325, is located in Washington State on the Olympic Peninsula near the historic Victorian seaport town of Port Townsend, Washington. A Premiere Location! Port Townsend was recently rated #1 as "The Best Town for Outdoor Activities in Washington" by online rating site, Niche. It was also listed in the "Top 20 Best Small Towns" in the U.S. by Smithonian. Check out more about us on FaceBook. Who We Are: As a proud member of the Escapee RV Club system, Evergreen Coho SKP RV Park is a cooperative 55+ RV community consisting of friendly folk who enjoy participating and living in our RV park. We offer both permanent memberships for qualified Escapee members and also short-term rental lots. 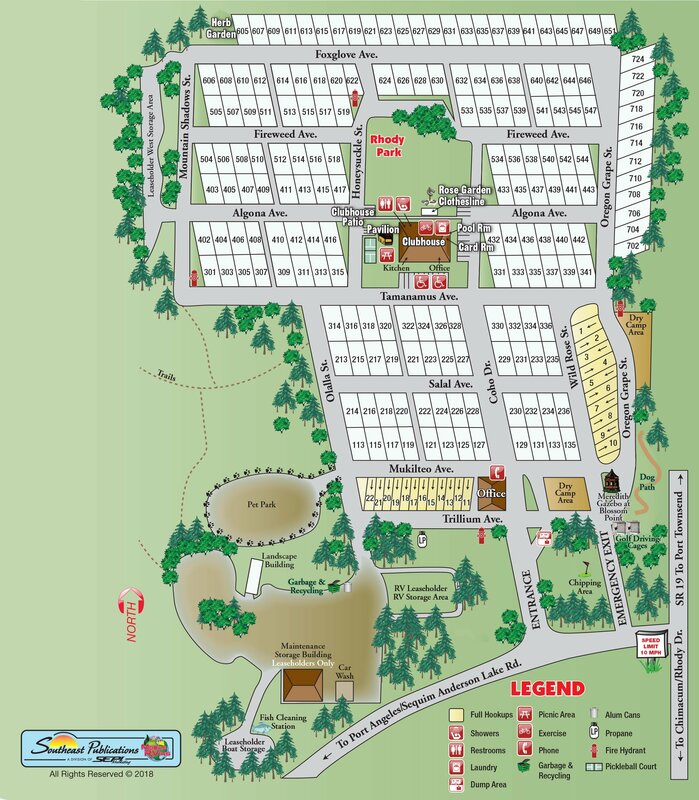 We take reservations for our rental lots, with preference for current Escapee RV Club members. Check availability by calling us at 360-385-6538. Visit Evergreen Coho SKP RV Park for a day, a week, or become a member of Evergreen Coho SKP RV Park and enjoy our friendly park all year long. ​WE TAKE RESERVATIONS! So don't miss out on our destination park for your next adventure! In the process, members have formed a community concept that gives us all a special purpose and a willingness to share. We love to learn, to share our skills and talents, to explore, to laugh and enjoy ourselves. Escapees come from all walks of life to form a family of RVers with common interests (travel), common living situation (living in RVs) and a common place to call our home base (Evergreen Coho SKP RV Park). RVing the Escapee way gives you a support network that will enrich your travels through companionship with those who understand your values and treasure your friendship. All members are encouraged to participate in both committee activities of their choice and social events. There is something here for everyone to do and to enjoy!